Without further to say, one of the following are some of the best options, that you should consider, if you’re looking to buy a great piano for beginners. They have pros and cons when compared but generally speaking, these are the best pianos for beginners. Pure CF-sampled piano: Sampled from Yamaha’s own CFIII concert grand, no other digital piano at this price delivers recordings from such a high-end instrument. Pianist-styles: This built-in duet partner plays along with you in 10 different playing styles. Actually, you and your piano teacher can both play on this keyboard at the same time, which makes lessons so much more interesting. Built-in drum patterns: This features puts the fun back into practicing, and is a viable alternative for a metronome. Or you can turn your solo-act into a two piece band where the drummer always is on time. 88-note, weighted GHS action: The keys have a heavier touch in the low end and a lighter touch in the high-end, just like acoustic pianos. 128-polyphony: It doesn’t matter what style or pattern your playing, the 128-polyphony will make sure that every note that you intend to be heard, will be heard. Judging by these key elements, the Yamaha P Series P105B 88-Key Digital Piano is one of the best digital piano for beginners, on the market. Learning to play on this instrument will be a lot of fun. And it comes in white as well. This piano for beginners has an astonishing look. The first impression when you get it out of the box is very important, and this product makes a first impression that will last for a long time. The feeling of the keyboard and the ivory touch of the keys is really nice, in fact a lot nicer than many higher priced digital pianos. It truly feels as if you were playing an acoustic piano, from the feel and sound point of view. This digital piano, for beginners, is truly one of the best value for money musical instruments. Two of the major pros of this piano are sound and design. The sound is excellent, as much the quality, as the volume, because of its amplifier and speakers. It has a cool and slick design, and a weight that makes it easy to be carried from one place to the other. It weighs less than 42 pounds with both built in 2 x 22 W stereo speakers and stand. The legged stand has a very smart design, leaving you a comfortable space for your feet, opposed to X design stands, which can be pretty uncomfortable if you have longer legs. It has multiple voices and the interface for combining them is super simple, you just have to push, for instance, both organ and piano at once and it will play both together until you change the option. 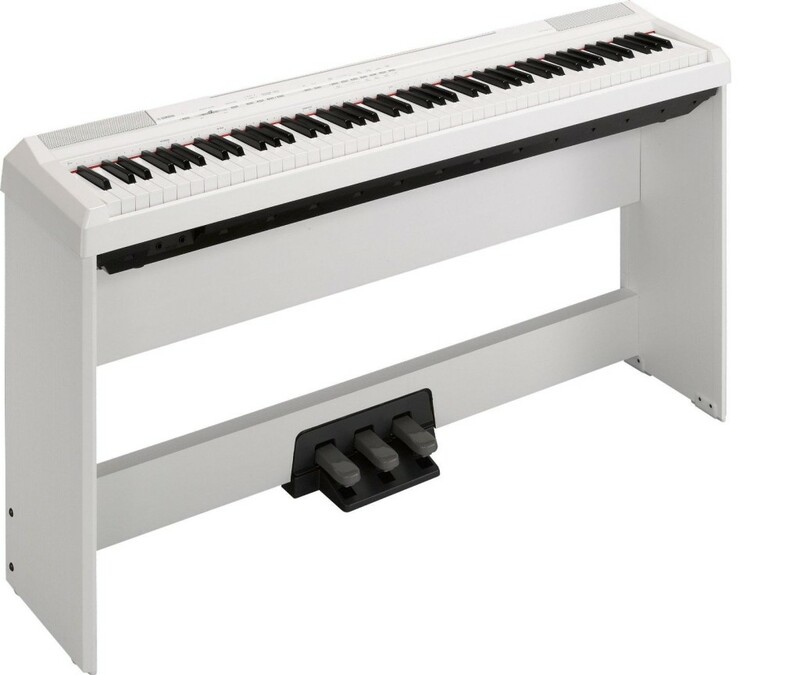 All and all it’s a great digital piano, and a perfect one for beginners, because it has all the bells and whistles that will make practicing fun. These are the best digital pianos for beginners. If you consider that another piano might suit you better, click here, and find out how to choose the best digital piano.